The service provider AT&T has started sending a new update to its laster years S series flagship devices. The Galaxy S7 along with the Galaxy S7 Edge are getting new updates with a version G930AUCS4BQJ2 and G935AUCS4BQJ2 respectively which also includes security patch for the month of October. These updates will also bring few bug fixes and also the BlueBorne vulnerability which allows attackers to control the smartphone via Bluetooth even if it is not in discoverable mode. The rollout is heading to your device via OTA (Over the Air) and if you have not received it yet, you can always head to the settings of the device and check for the update manually. If the update is available, you need to download it before installing. Make sure that you back up your data and the charge on the device is more than 50 percent before you start the installation process. The size of the update is 135MB which is small compared to other updates. 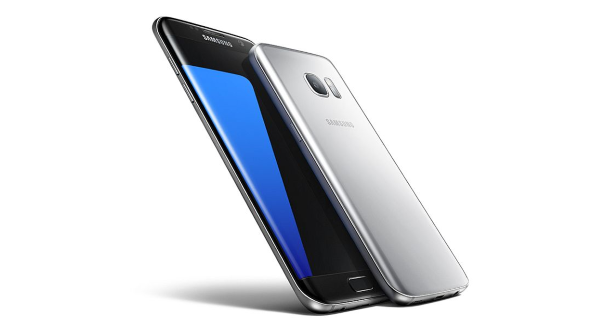 Coming to the Galaxy S7, the came with a 5.1 inches display with Always-on-display and Corning Gorilla Glass 4 protection on top. Under the hood, it packs an Exynos 8890 octa-core processor coupled with 4GB of RAM and Mali-T880 MP12 GPU. There is a 12MP main camera sensor on the rear with OIS and LED flash while on the front we can see a 5MP camera for video calls and selfies. On the rear, there is a non-removable Li-Ion 3000 mAh battery and has onboard storage of 32GB/64GB which can be extended further via microSD card slot. The Galaxy S7 Edge came with a bigger 5.5-inch display and has a display at the edge and rest all specifications ate similar to its sibling excluding battery as the S7 Edge sported a 3600mAh non-removable battery. Do you own any of these devices? Did you receive the update? Comment in the section below and stay tuned for more news and updates.